DHL and Ford introduced the all-electric truck StreetScooter Work XL as a fleet to serve new deliveries. 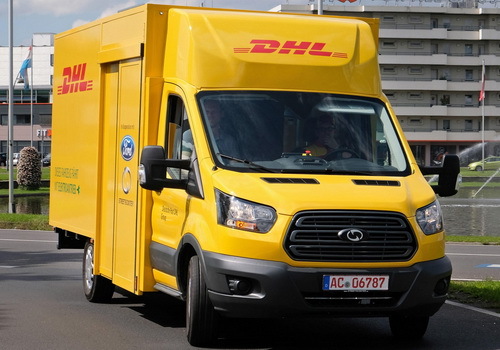 Earlier this year Deutsche Post AG announced that Ford Motor Company won an important contract to fill its logistics shipping fleet using 2,500 electric vans. The two giants collaborating to design each truck save 1,900 liters of fuel per year and stop 5 tons of CO2. The e-van platform is built using a modular battery system to hold modules between 30kWh to 90kWh and battery power will be charged using 22 kW onboard claimed to travel 80 km (50 miles) to 200 km (124 miles) with a cargo capacity of 20 cubic meters or approximately 1,350 kg. 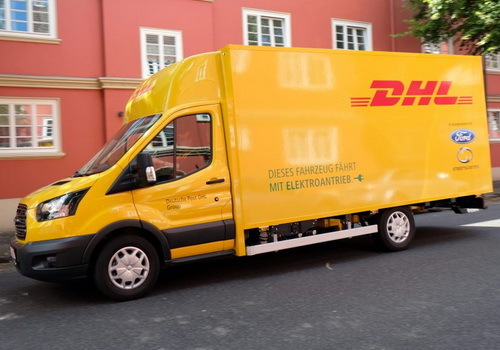 DHL has vowed to replace diesel trucks with electric trucks to save 1,900 liters of diesel per year and prevent the emissions of 5 tons of CO2 per truck. The operation of the 2,500 truck fleet is expected to save 4.75 million liters of fuel each year and prevent the emissions of 12,500 tonnes of CO2. "The new StreetScooter WORK XL expands our e-fleet in the commercial vehicle segment. It is the perfect vehicle for parcel deliveries in major cities and large urban areas," says Jürgen Gerdes of Deutsche Post DHL Group. "We will enable us to cope with the rising parcel volumes in an even more environmentally friendly and quieter manner. 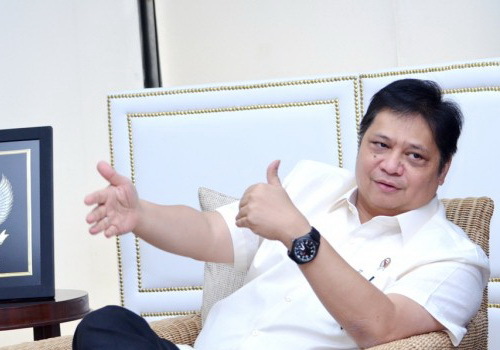 With this commitment, we are also underlining our claim of being the market leader in green logistics," said Gerdes. StreetScooter Work XL uses a Ford Transit chassis with a drivetrain and is specially designed for DHL Packages in Germany. Van produced in Aachen, Germany, and DHL will also sell to third parties.